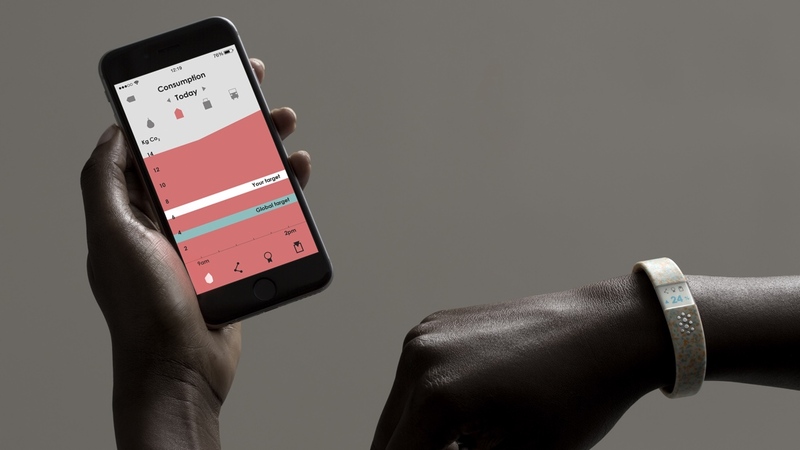 The conversation around sustainable wearables has not been so amplified since Benjamin Hubert of Layer partnered up with Carbon Trust to produce his carbon-tracking wearable concept Worldbeing. This time around WEAR Sustain, a project managed by a consortium of seven organisations across five EU countries, is the catalyst bringing much needed attention to the development of sustainable wearables. Launched last month, the WEAR Sustain project received €2.4 million in funding from the European Union's Horizon 2020 research and innovation programme. The EU's financial support is making it possible for WEAR Sustain to not only raise awareness around the need for eco-friendly wearable tech, but is also allowing them to give 48 teams, made up of designers and engineers, €50,000 each to come up with prototypes of next generation sustainable wearables and e-textiles. Highlighting awareness of ethics in technology, Rachel Lasebikan, senior research and innovation manager at QMUL, stated that WEAR Sustain is not necessarily looking for experts in wearables, instead they are "looking to get great ideas off the ground and set a benchmark for ethics and sustainability in the technology field." The themes for the competition are quite broad: Environment; Use and Reuse vs Waste; Body, Physiology, Somatics; Energy, Emotional and Mental Health; Social, Cultural, Economic and Open Category. So, what exactly is a sustainable wearable? The clearest definition I've come across was presented by Jaewoon Lee, from the Department of Digital Media, Graduate School, Soongsil University in Korea. It's wider than you might think too. In his paper, Sustainable Wearables: Wearable Technology for Enhancing the Quality of Human Life, Lee defined the term 'sustainable wearables' as a wearable technology device with the ability to "make a positive impact on the improvement of quality of life, social impact and the public interest." When it comes to the value of designing sustainable wearables, the devil is in the details. "Wearables need to be beautiful, useful AND sustainable," says Ed Gillespie, founder of Futerra, a sustainability strategy agency. He also added that wearables must address "a specific human need, not some distracting commercial opportunity." This is one way in which the eco consideration comes into play. Step One: Only build (and buy) genuinely useful products. "Why would we create a whole bunch of more complicated, hard to recycle waste streams of, for example, mixed fibres and electronics," he continues, "when we can't even cope with existing waste streams? Most wearable tech appears to be gimmicky, dare I say pointless stuff." Dr Camille Baker, reader at the University of the Creative Arts, sees value in supporting designers so that they can contribute to the solution rather than be part of the problem. Working on the WEAR Sustain project, Dr Baker believes that it is important that creatives are shown new ways of designing using technology to solve specific problems. Are smart textiles a catalyst? As the smart textile industry continues to grow in complexity, form and function, its potential to embody a range of sustainable principles is becoming more apparent. Radicalising clothing using technology is something that is being slowly adopted by various industries. A great example of a brand using the newest developments in sustainable fabrics is Levi's, which bodes well as it is also the first partner for Google's Project Jacquard initiative with the Commuter Trucker Jacket due in late 2017. Levi's has incorporated sustainability into every aspect of its design and development process. By doing so, their cotton Wellthread collectionsaves more than 65% of the water employed in the dye process. Heading the innovation is vice president and head of global product innovation at Levi Strauss & Co, Paul Dillinger, who is also heavily involved in Jacquard. On their efforts Dillinger told High Snobiety: "The end results are more about the responsible products for both the people who wear them and the planet. All elements of our [Wellthread] product… allow for total recyclability." Now, the Jacquard Jacket is not so simple. It mixes conductive yarn with denim to create an interactive area on the cuff which will mean a new sustainability concern for Levi's. When we spoke to Dillinger last year, though, he emphasised that first, most important, point of making the garment useful. "Our Levi's Commuter line has always been about purpose-driven design and solving real world problems," Dillinger told us. "Our goal is always to create clothes that perform as great as they look." We'll be interested to see what Google and Levi's have to say on sustainability when the first connected garment arrives. To minimise challenges, the WEAR Sustain scheme is paving the way by boosting collaborations between technology and the arts. Its ongoing open call for "human-focused projects", taking place at local project hubs, is exposing participants to a diverse range of experts across all disciplines and industries. Common hurdles in actually building sustainable wearable tech and smart textiles usually include issues such as cost, durability and scalability. Each of these is a real challenge but can be minimised by understanding the existing ecosystem, designing for scale and building for sustainability. When it comes to overcoming these specific challenges, Dr Baker advises not to take on every possible issue when starting out. "Do not bite off too much," she says. "It is better to try and address a few sustainability challenges rather than try and solve all of them, because in the long run you can maintain and manage the processes." When it comes to the future direction of sustainable wearables, it cannot be another round of simple fitness trackers. The next generation of connected devices and smart clothing need to be easier to use, more convenient, and operate in a non-invasive manner. Before we enjoy these features there are also several technological obstacles like longer battery life, reliability of sensors, improvement of machine learning and artificial intelligence that need to be overcome. Often these areas demand the resources of big tech companies, not sustainable design teams. In the end, what it comes down to is that a good looking, standalone, sustainable wearable needs to be a triple threat: solve a real problem, incorporate recyclability and look to the future. The deadline for WEAR Sustain's first Open Call is 31 May 2017 so depending on when you read this, you may still have time. Selected finalists will pitch in June. Call 2 will be announced in October 2017.